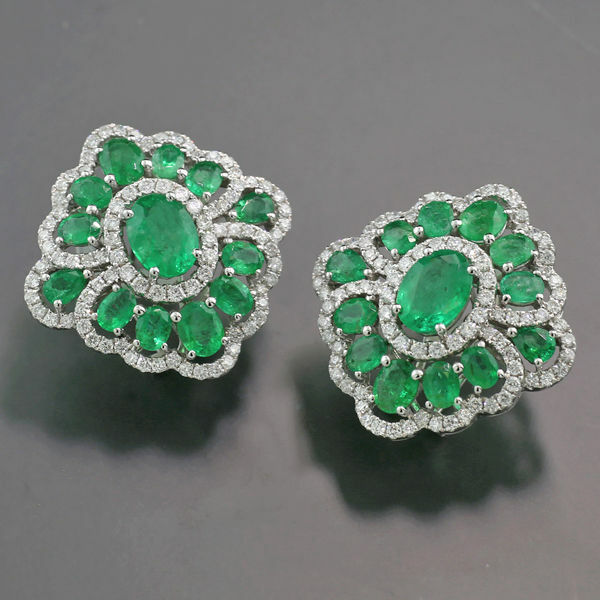 ....luxurious earrings with 26 oval faceted emeralds totalling approx. 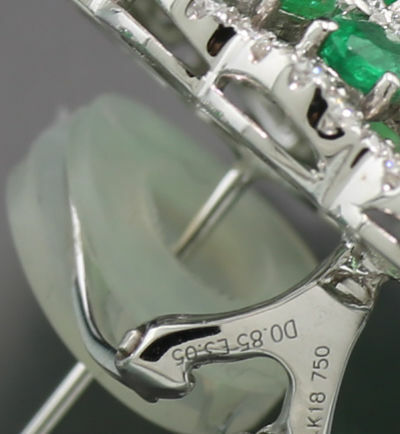 6.10 ct, uniform powerful green, transparent with normal inclusions typical of emeralds, emeralds oiled as is customary. 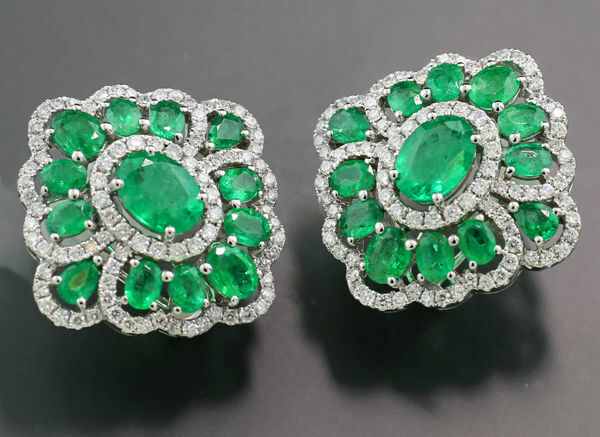 Wreath-like curved frame set with 176 brilliant cut diamonds totalling approx. 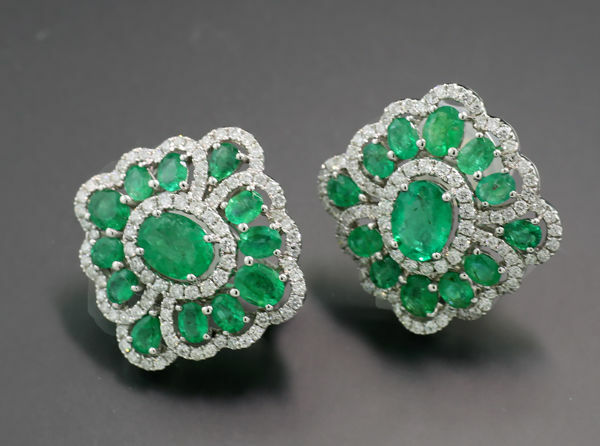 1.70 ct, H / SI. Studs with padded clips. 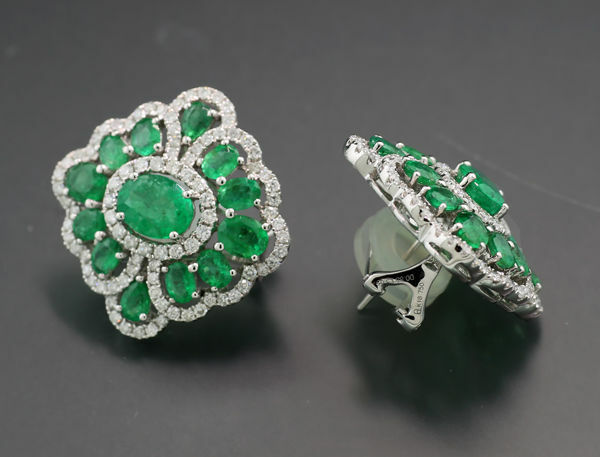 High-quality piece made by a goldsmith in 750 / 18 kt white gold, metal grade and gemstone weights marked on the back. 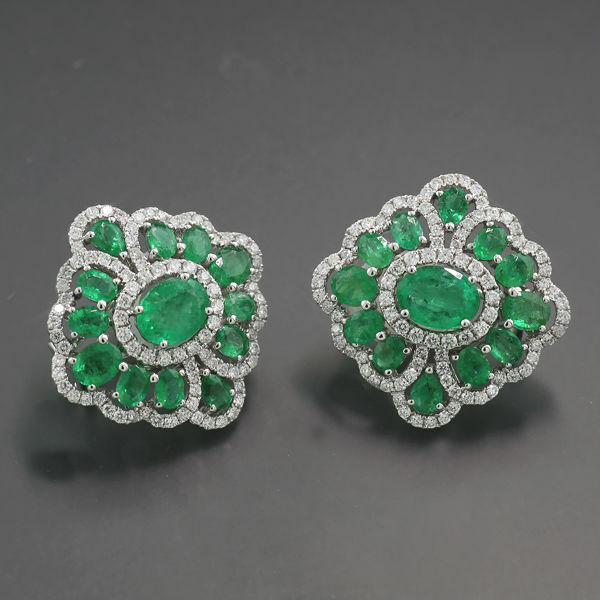 26 emeralds: totalling 6.10 ct! !